Bowie State and Winston-Salem State to get plenty of TV time while VSU, FSU, VUU and Shaw get shine to. 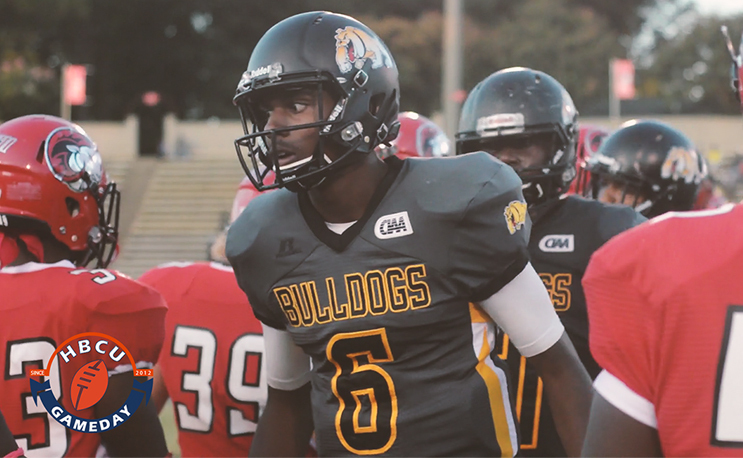 Bowie State and Winston-Salem State both fell short of reaching the CIAA football championship game last season but both will get double the TV time of the teams that actually played in the title game. The CIAA announced its 2018 football television schedule on Monday and both BSU and WSSU will make two appearances each on the conference’s four-game regular season lineup on Aspire. Southern Division champion Fayetteville State and CIAA champ Virginia State will make one regular season appearance each as will Virginia Union and Shaw. VSU and BSU will kick the season off on Oct. 13 in Bowie, Maryland. This marks the third year in a row the two northern division powers, who have won the last five division titles, will meet on television. If it’s anything like the previous two, it will be must-see action as both games proved to be high-scoring and exciting, with each team coming out on top on its turf during homecoming. BSU will take on another Virginia opponent the following week in VUU. The game will take place at historic Hovey Stadium in Richmond on the campus of VUU, one of the oldest continuously used stadiums in college football. VUU will look to take down BSU as it tries to assert itself as a contender in the Northern division under first-year coach Alvin Parker. WSSU will get its chance to double-dip the following two weeks as it goes out on the road. WSSU will take on Shaw in Durham on Oct. 27 as it looks to re-assert itself as the Southern Division power. While it has won five of the last six games against Shaw, it is always a competitive game and twice in the last three years has been decided in overtime, with SU winning in 2015 and WSSU winning in 2017. FSU will get its television time the following week as it welcomes WSSU to the 910. FSU snapped a decade-long losing streak to WSSU in 2017 at Bowman Gray Stadium to win the Southern Division for the first time since 2009. The final TV game, of course, will be the conference championship game. The game will take place in Salem, VA for the third year in a row. Kickoff is set for 1:00 PM this year on Nov. 10.